Last time, we talked about caring for color-treated hair, inspiring you to try something new – but what are the colors trending for 2019? According to the pros, we’ll be seeing a lot of fun new colors in 2019, as well as some gorgeous hair colors that continue to trend for the new year. Here are a few hair color trends to help inspire you! We’ll start with the blondes, who will see things warm up a bit as creamy blonde and antique gold shades take the forefront. Creamy blonde is a light, warm shade with bright highlights, while antique gold is a shiny version with a hint of gold. Other colors trending for blondes are dirty blonde, a natural, subtle shade, often with darkened roots for a natural, relaxed look. If you’ve always liked the trend toward platinum blonde, try snow bunny blonde, a very powdery, light shade with a hint of blue. Brunettes, this year you’ll see a lot of dirty brunette, a fun option that teams up natural brunette with dark blonde highlights. Another unique option is mushroom brown, a multidimensional color that’s dark on the inside and light on the outside. Rich, dark blacks are also trending this year, especially inky black, a deep, mysterious shade that really shows off the glossy look. For redheads, think metallic-like finish with illuminating red, a bright, gorgeous shade that really reflects the light. If you’re daring, this year’s red colors are going more orange for a bright, attention-getting shade that accentuates a free-spirited, outgoing personality. 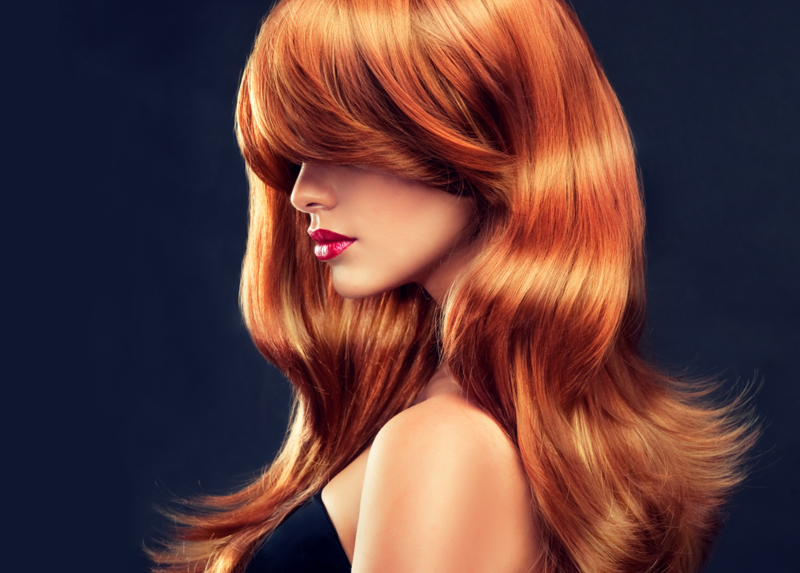 If you’re looking to accentuate your natural red hair, try some copper highlights for an updated look for 2019. For a shade on the red side that adds some fantasy color to your life, try this year’s living coral shade, an absolutely gorgeous alternative to the pinks of last year, with bright coral tones and soft, golden undertones. Speaking of fantasy colors, they’re still going to be seen everywhere, especially in blues, plums, and combination colors that really showcase your individual personality. Silver grey is another unique color this year, with a bright, shimmering color that can look blue as it reflects light. Inspired to try a new color? Make your appointment today at Meraki Hair & Makeup Studio. Our well-trained, professional colorists will help you choose the perfect shade for you! You can find us at 1281 Arthur Kill Road in Staten Island or call 718.966.6601 to book an appointment. Prefer to instantly schedule an appointment yourself? Try our Meraki Hair & Makeup Studio mobile app, available for a free download on iTunes or Google Play.